Nevada is the #1 gold producing state in the U.S.
And there is still TONS of gold out there waiting to be discovered. Our new 38-page eBook helps you learn where to find it! 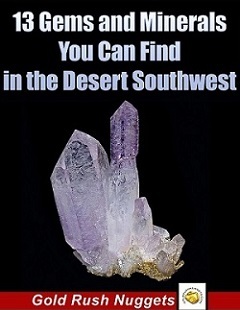 This eBook is a great resource for any Nevada prospector. Many of the areas mentioned here still hold fantastic potential for a prospector willing to put in the time and effort needed to find undiscovered gold deposits! Nevada is a HUGE state with ample areas that are open to prospecting. Many mining districts are also extremely remote, which means they have not been prospected nearly as hard as many other areas in the U.S.
Learning about these areas that have produced gold in the past is the best way to find locations that you can still find it today! The old-timers didn't find it all! Prospecting for gold is truly one of the last great adventures there is. And with the high price of gold today, there really is no better time to go out and find it! Are you serious about finding gold in Nevada? Start Finding Gold! 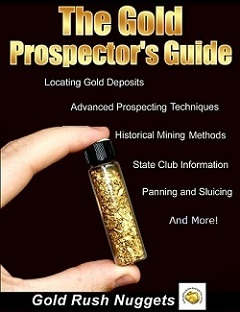 - A Guide to Prospecting in Nevada - 38-page eBook about where to finding gold in Nevada. 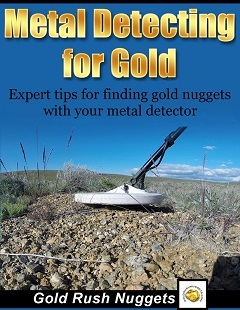 Metal Detecting for Gold - 68-page eBook covers in detail the different types of gold detectors, research tips for locating gold nuggets, how to properly setup and use your gold detector, important gear and accessories to own, target recovery tips, and much more! Metal detecting is one of the best ways to find gold nuggets in Nevada! 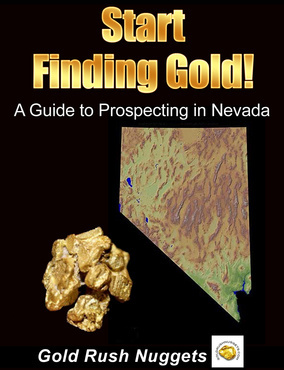 Start Finding Gold - A Guide to Prospecting in Nevada - 38-page eBook about where to finding gold throughout Nevada. 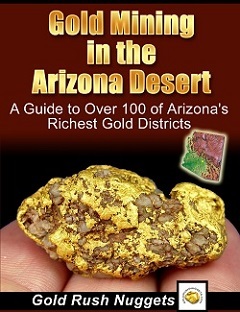 Gold Mining in the Arizona Desert - 90-page eBook that covers 100 known gold districts in the state of Arizona. 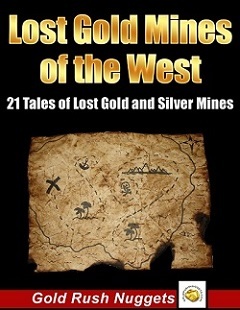 Many Nevada prospectors venture south to Arizona in the winter to find gold, as it is one of the best gold mining states in the U.S.
*This Start Finding Gold eBook will automatically be emailed to you as a printable PDF after purchase. No waiting and no shipping charges. * This content of this eBook is for informational purposes only. It is each individual�s responsibility to ensure that they are in an area that is legally open to prospecting.